Violence happens by surprise - closer, harder, and faster than in most martial arts training. The VIOLENCE DYNAMICS seminar bridges that gap and prepares martial artists to prevail against the realities of violence. Marc MacYoung grew up in situational poverty in the gang-infested streets of Los Angeles. Before turning his life around, he freely admits he was 'part of the problem.' As well as living in some of the most violent and crime-infested areas of LA, he's worked as a body guard, bouncer and director of a correctional center. He's taught de-escalation and defensive tactics to police from nine different countries. He's the author of 21 books and videos on subjects ranging from crime avoidance to professional use of force to street knife violence and street survival. 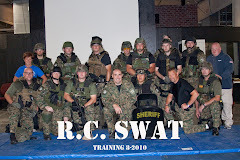 Kasey Keckeisen is an experienced Police Officer, SWAT team leader, and SWAT training coordinator. 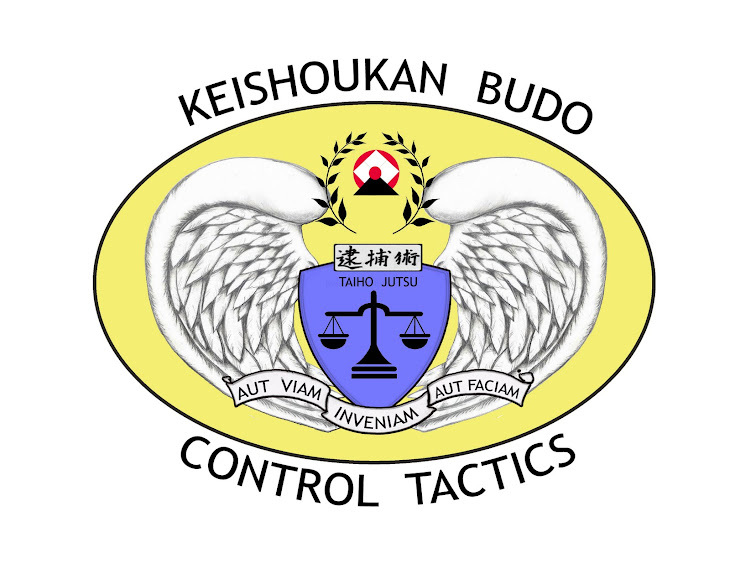 Keckeisen has taught Control Tactics to Universities, Law Enforcement Agencies, and Special Operations Teams across Minnesota. How often do martial arts instructors advise their students to avoid violence? But do they ever teach how? Martial Arts training has an emphasis on punching and kicking. But how much practice time do students get identifying when they are on the road to violence or how to get off that road without using physical force? Conflict Communications provides that training. The purpose of Conflict Communications is to teach you how to prevent conflict whenever possible and to minimize its impact when unavoidable. Conflict Communication improves understanding of violence, and interpersonal communications. If you're emotional and caught up in the default human conflict behaviors, the best de-escalation training in the world (Verbal Judo, C.I.T., etc) is of no use to you. You're not going to be able to do it. Most conflicts can be successfully controlled by using the principles of this system. This isnot specialized education only a select few can master. The program is designed so anyonecan use it to prevent a conflict. This is done by teaching you to de-escalate yourself first. By understanding how and why confrontation occurs, Conflict Communications will show you conflict management, de-escalation, situation resolution and, if necessary, articulation of why action was both necessary and reasonable. Martial arts evolved in very dangerous times to deal with dangerous situations. In the modern era, where armed bandits and invading Mongols are rare, some of the hard-earned lessons of the past are easily missed. "Almost every technique in the Martial Arts works," says Rory Miller, "If you know when and where to use it." If you've spent years practicing your responses to violent situations, you owe it to yourself to spend two days studying violent situations. How do criminals attack? Why? How can I see it coming? Which of my skills evolved from dueling and which from ambush survival? What is the law on self-defense? Martial arts can be used for effective self-defense -- if you know the concepts necessary to restore lost aspects, repair corrupted information and analyze errors in whatever martial arts system you study. Martial Mechanics focuses on those concepts. Martial Mechanics is not a defensive tactics system or a “martial arts” style. Martial Mechanics is a training method developed to enhance your ability to use the martial arts system you are trained in more efficiently. Increasing your competence, and confidence in your existing training. Martial mechanics not only teaches you how to use what you know successfully in a violent confrontation, it also helps you understand what you don’t know. Martial mechanics teaches the physics that make martial arts work. Martial mechanics will not only make you better at applying force to a violent encounter, but will help you understand the fundamental principles that make the application of force possible. Martial mechanics enhances your ability to successfully use martial arts to defend against an aggressive violent real world attack and keep you out of the morgue, the hospital, or jail. Rory Miller says, "Almost every technique in the Martial Arts works. If you know when and where to use it." Introduction to Violence focuses on when and where to use it. · How to apply your martial art system in a dynamic situation. · How to choose, apply and justify an appropriate force response. Buki waza focuses on the relationship between weapons techniques and empty hand techniques (Taijustu) strengthening both. Tsukinami-shiai or “in house” tournaments are fun safe and educational way to incorporate force on force weapons training. Equipment will be provided but a large turn out is expected. So if you have Chanbara or sparring equipment (head and face must be covered) please bring your own.